“Mosi oa Tunya” — the Smoke that Thunders. 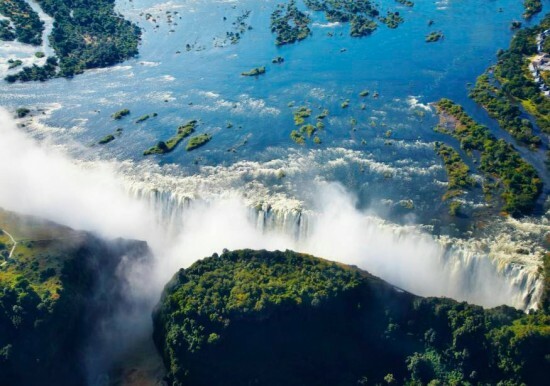 That’s the name the local Kololo tribe gave to Victoria Falls, the mile-wide curtain of falling water that plunges 350 feet over a basalt cliff into the turbulent Zambezi Gorge. 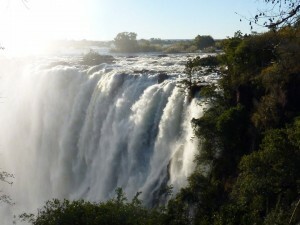 During the dry season, the falls are a series of individual cataracts. 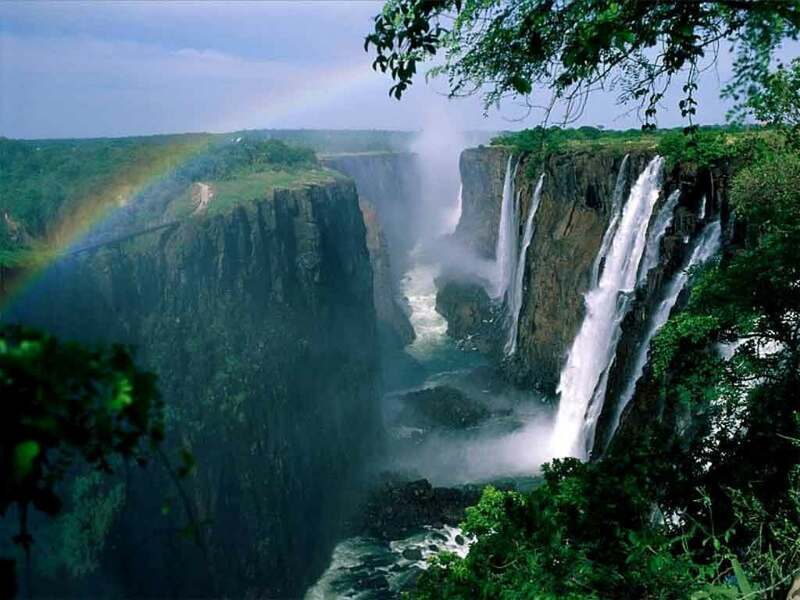 But at the height of the Zambezi River’s flows, as in the photo above, the cliff isn’t even visible as the wall of water plummets ferociously toward the chasm below. The “spray” along the rainforest trails at the Eastern Cataract’s edge in Zambia is actually a deluge–I was drenched in seconds, when I opted to forego the plastic ponchos for rent at the national park entrance kiosk. 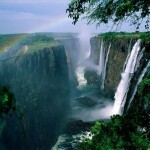 There’s no question in my mind that Vic Falls deserves a place on the coveted Seven Natural Wonders of the World list. Can you name the others? You’ll find them on that link, along with separate lists of Seven Natural Wonders for Africa, Asia, Europe, North America, South America and Oceania. You’ll also find links to individual countries where you can nominate natural wonders to create “7 Best” lists by nation. All in all, a pretty great collection of wondrous nature destinations to get you planning your next outdoor adventure! But I’d like to know what your personal choices are. If you had to make your own 7 Natural Wonders list — from your own world travels or your own ‘backyard’ — what would be on it? Any lesser-known nature spectacles you’d like to share with Good Nature readers, to inspire future trips? We can’t wait to get your recommendations.